It’s surprising how OnePlus, a relatively new company that was founded only in December 2013, can brave through the storms in a crowded smartphone market and emerge as one of the most trusted brands today. Based on research data from Counterpoint, OnePlus has been noted to have grown significant market share as it expands swiftly in Western European markets, largely because of its focus on affordable flagship smartphones. techradar also mentioned that OnePlus even owns 50% of India’s premium smartphone market share. With the growth potential of the brand, we should never belittle its position in the industry. 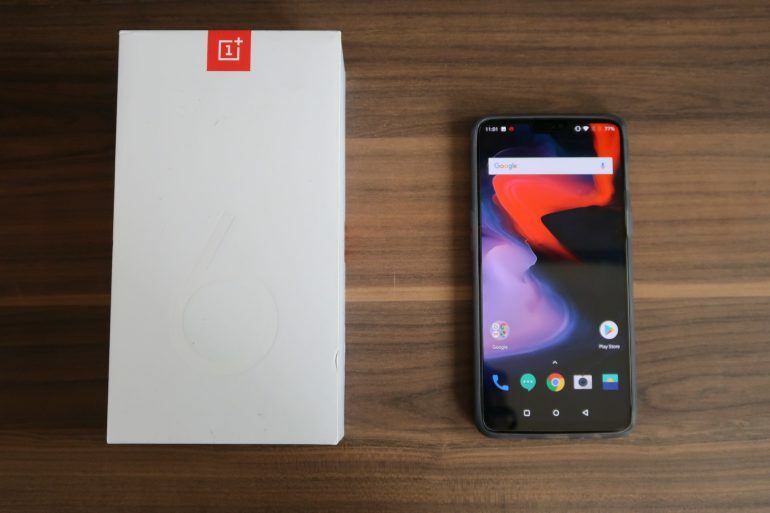 OnePlus’ latest offering, the OnePlus 6 is a prime example of what the brand stands for. While other flagship smartphones are priced above S$1000, the OnePlus 6 starts only at S$868, placing it as one of the “more affordable” flagship smartphones locally. Did OnePlus cut any corners in order to make the OnePlus 6 cheaper? Let’s find out. Every flagship smartphone requires a top-of-the-line mobile chipset. Currently, the latest instalment from Qualcomm is their Snapdragon 845. This mobile chipset is also known to be the fastest at the point of me writing this review. Undoubtedly, to really provide the best that’s available, OnePlus equipped the OnePlus 6 with the Snapdragon 845. The Snapdragon 845 promises unparalleled compute and graphics performance to the smartphone. You’ll understand what this means in the later section, where we benchmark this phone to see where it stands. Moreover, the OnePlus 6 is also available with up to 8GB of RAM and 128GB of storage. (There is another limited-edition Avengers version which comes with 256GB of storage.) For our review today, we have the 6GB RAM + 64GB version. Generally, through the various interactions with smartphones from OnePlus, we started to understand where the designers and engineers are getting to. By embracing the “Less is More” concept, OnePlus is able to create a smartphone with character. You will know when you first come across a OnePlus smartphone because every aspect of it just seemed so clean and refined. With the improvement in display technology and the shrinking of electronic components, smartphones these days can maximize their screen-to-body ratio. The OnePlus 6 is no exception, as its screen takes up the most real estate at the front of the device. This also gave rise to the notched design, as the screen will not be able to replace the front camera and speakers. However, we noted that the notch on the OnePlus 6 was much smaller than those on other smartphones. Interestingly, unlike most smartphones whose buttons appears only on the right side of the device, OnePlus has decided that the volume buttons should go on the left, while the power button on the right. This really makes sense, as users will be able to easily identify and locate the buttons on their phone even when at night. There won’t be a need to “feel” for the correct button! The OnePlus 6 also features a physical silent switch on the right side of the phone. Instead of the need to go through many steps on the settings to change the phone to the silent mode, you can simply do it with the flip of a switch. The dedicated switch seems to be rather excessive due to its limited usage, but it would be great for professionals who simply want to silent their phone in the middle of a meeting. These are the small details that really make a difference to the whole user experience. Luckily, OnePlus 6 still comes with a 3.5mm Audio Jack. It also uses a USB Type-C connector for data transfers and charging. Moreover, this phone also supports OnePlus’s Fast Charging, which allows the phone to be charged from zero to 60% in just 35 minutes! There is no doubt that the OnePlus 6 is one of the fastest smartphones in the market today. Its near-stock Android OS and further optimizations had made it close to the top in benchmark tests. In the 3DMark Sling Shot Extreme Game performance test, our device was ranked third. On the other hand, the AnTuTu Benchmark ranked the OnePlus 6 on the 6th place. We took note that the memory performance of the OnePlus 6 was in fact in the 65th percentile. If OnePlus used a faster memory chip/storage, it would improve the performance of the OnePlus 6 even further. What really sets the OnePlus 6 apart from any other device at this price segment is its premium AMOLED display panel. Xiaomi could have just introduced the cheapest Snapdragon 845 smartphone to the market, but it lacked a premium AMOLED display. We had no complains on the display of the OnePlus 6, as it was truly able to bring out images of great quality. The blacks of the display were really black, as they are not corroded by adjacent backlight. The colours were also vibrant, truly representing what the media was initially intended for. However, we did find that the audio experience on the OnePlus 6 was somewhat subpar. While other flagship smartphones have embraced stereo speakers, the OnePlus 6 only had a single loudspeaker at the bottom of the phone. Not just that, we thought that the loudspeaker lacked depth in the sounds which it produced, thus affecting the overall entertainment consumption experience. OnePlus 6’s camera is worthy for a flagship device. When compared to the Huawei Mate 10 Pro which is known for its great camera capabilities, the OnePlus 6 did not falter. It was able to reproduce high quality and sharp images just like the Mate 10 Pro. For example, in the first landscape photo, we can see that the photo taken from OnePlus 6 was generally more well coloured when compared to that of the Mate 10 Pro. By looking at the various features on the OnePlus 6, we are certain that it is worthy of being labeled as a flagship device in terms of its design, performance and imaging capabilities. The only flaw it had was its lackluster loud speaker, which could be a deal-breaker for some. It’s indeed quite a pity, as the OnePlus 6 is equipped with a superb display panel which is excellent for media consumption.